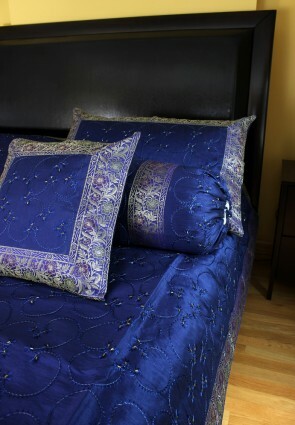 Fall in love with our radiant and unique collection of 7-Piece Luxury Duvet Cover Sets from Banarsi Designs. Crafted in India, they are available in unique glamorous colors and exclusive decorative patterns. 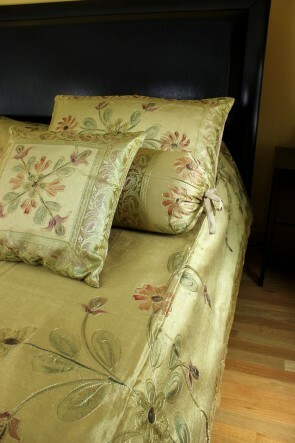 Our duvet cover sets are featured in gorgeous hand embroidered and soft hand painted designs. They will surely redefine your bedroom décor as well as any guest room. Explore our complete collection by browsing our variety of designs, styles, and colors. 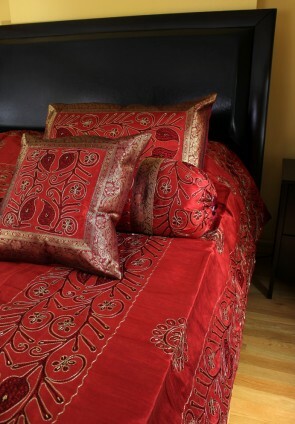 Banarsi Designs offers both queen and king size duvet cover sets. Please note that our sets do not include inserts / fillers.